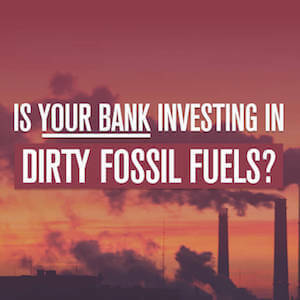 Click to learn more about fossil fuel companies’ political donations and take action! In light of the Victorian Government’s proposed changes to political donation laws, we thought we should share our submission to the federal Joint Standing Committee on Electoral Matters, which we made on 11 September 2017. Public funding of elections (details of which to be determined). On face value, the changes look comprehensive and address most of the issues with the current system. However, a number of questions remain. For years, companies have paid political parties to attend functions, or to join “industry groups”, in other words, paid for access. Despite the Australian Electoral Commission (AEC) recording these fees in a register of political donations, they classify them as “Other”, i.e. technically not donations. Market Forces has long argued that fees for access are just another political donation. The Victorian Government must clarify whether fees for access are subject to the proposed legislation. One of the primary issues with the current system is the lack of reconciliation between donor returns and political party returns. Rarely do the two sets of returns reconcile, and there is no consequence for the lack of disclosure by either party. The Victorian Government must ensure that donations are reconciled, and failure to declare, by either side, is subject to penalty. It is commonplace for companies to make donations to various branches of the same political party, often directing funds to branches in every state in addition to the federal branch. There is nothing to suggest in the Victorian Government’s proposed legislation that would curtail this behavior. Clearly, donations made in other states our out of their jurisdiction. But how will the proposed legislation affect the federal branch of a party, for instance, directing funds to its Victorian branch? The proposed legislation appears to be a workable solution. However, will the Victorian Electoral Commission be appropriately funded and empowered to investigate and prosecute breaches? Will there be a system for reporting of breaches, particularly during an election campaign? It is clear that corporate political donations have increased exponentially over the last decade. In fact, a decade ago, these three companies were donating very little or nothing at all. At their Annual General Meetings (AGMs), the boards of both Santos and Woodside were asked to explain the reason for these donations. They claim that these are fees paid to attend functions hosted by political parties, or membership fees for interest groups coordinated by political parties. Though no explanation is given as to why their fees appear to be far higher than other corporates, or why they attend so many more functions than other corporates. Indeed, there is no transparency as to what these events and interest groups are, or what policy is discussed within them. 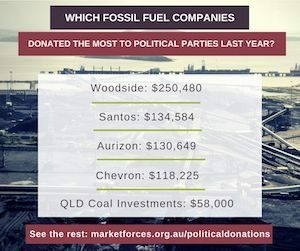 Such donations are not the only donations originating from the fossil fuel sector. 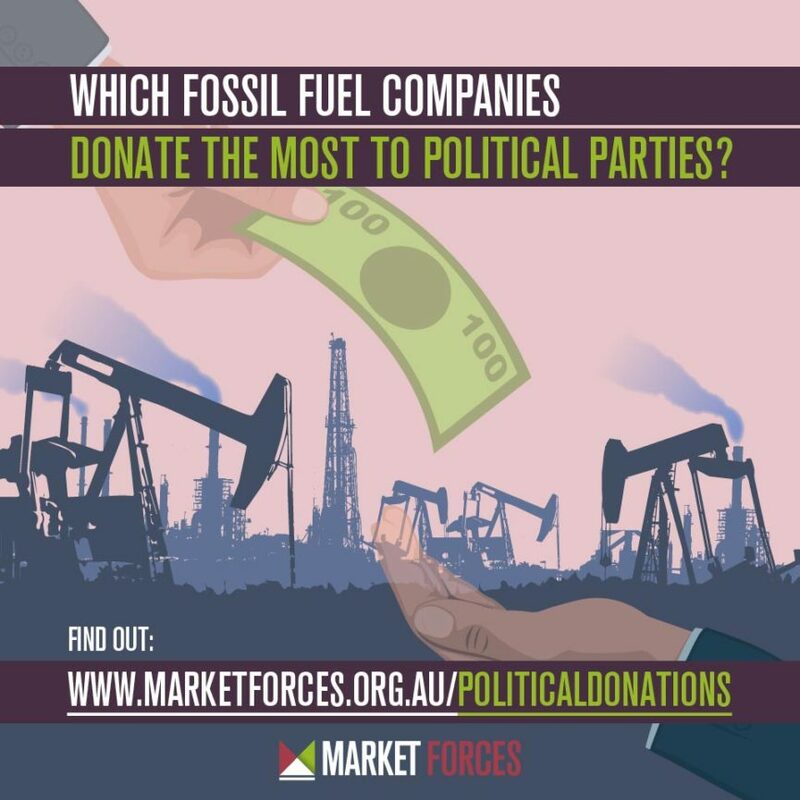 For a complete list of donations from fossil fuel companies from the past two (available) financial years, please see: https://www.marketforces.org.au/politicaldonations/. The proposed changes to Victorian political donation laws will be the strictest in the country, and they’re what the public has been demanding for many years. Now we call on the Federal Government to legislate similar changes. Corporate influence on our politics has gone on for far too long, and must be curtailed.